1. Visit Sheffield Central children’s library which is free, has toys, teddies, lots of books. Baby and toddler time run Friday mornings 11am-12 noon with songs, stories and informal atmosphere. 2. Enjoy playing and crafts at Sheffield Cathedral toddler group on Thursday mornings, 10-11:30, 50p. At Christmas time there is a sing along nativity. 3. Go trampolining at Jump Inc Meadowhall. Toddler sessions run monday-friday term time from 11-12. Read my review here. 4. Try a Rattle & Roll class suitable for 0-4 years. Choose from sensory music time, mixed music age classes, mini explorers messy play or mega explorers messy play. if unsure you can book a taster session! 5. 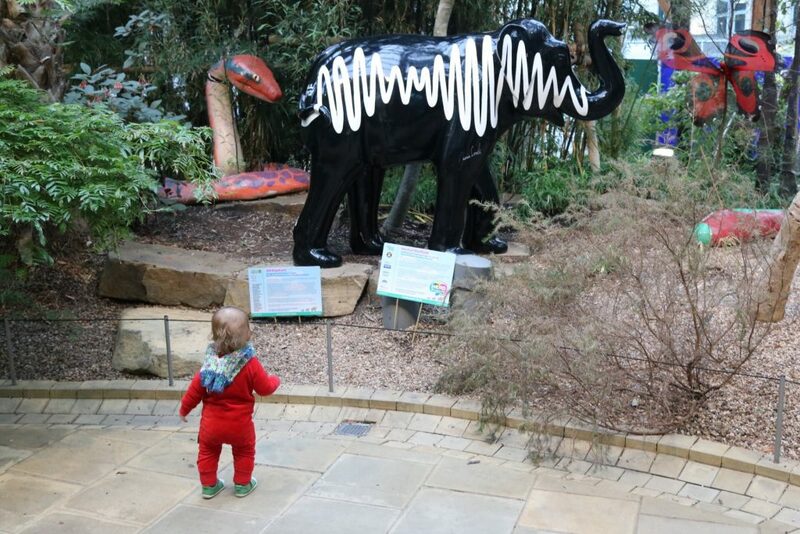 Have a stroll through the Sheffield Winter garden. Grab healthy food and drink from Zooby’s (including kids lunch box deal) and find the aM elephant and snake! Sheffield Winter Garden is open all year and is fantastic for when the weather is not so good, it is free to visit. 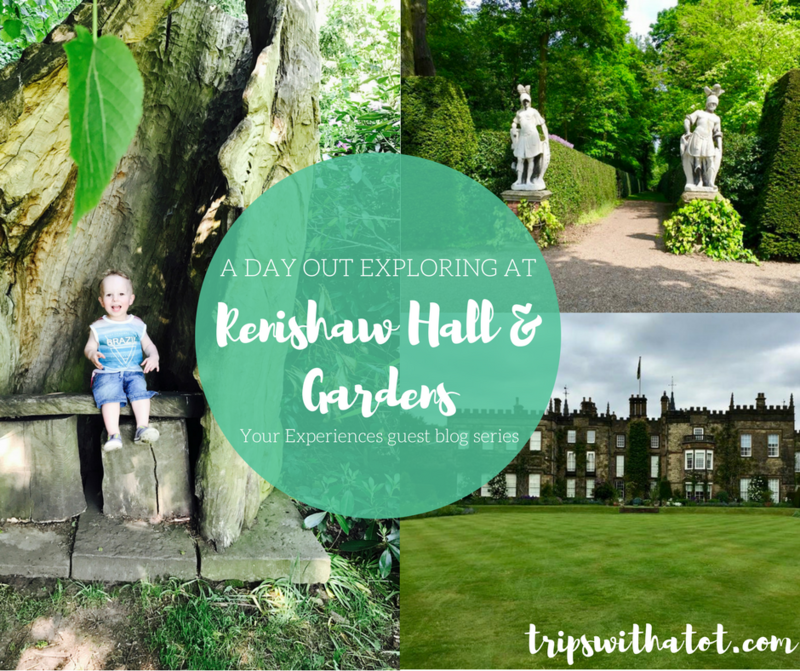 Read my Top 5 days out for a toddler in Sheffield here. 6. The Peace Gardens in the city centre is loads of fun especially in summer with the fountains! Take a picnic blanket and enjoy the atmosphere. 7. Train spotting at Sheffield Train Station is great for train loving toddlers. There’s water outside too for a quick splash. 8. Kelham Island Museum provides hands on exhibitions taking you through the history of sheffield and its steelworks. There are work benches, machinery, tools, a working steam engine and a soft play area “the melting pot” which children love. 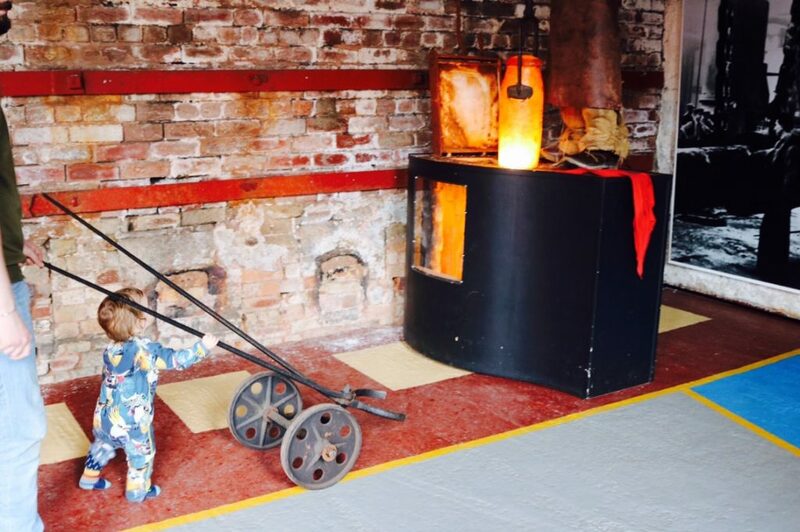 The museum have trails for kids to take part in and Kelham Creators is a toddler playgroup on the first Tuesday of every month for £21. Read about our day out at Kelham Island Museum here which includes a short video. 9. The Norfolk Heritage Trail starts uphill from the train station and takes you on a wander around the S2 part of Sheffield. There are visits to many parks and woods including cholera monument and Norfolk park, and a free farm; Sheffield Manor lodge and farm. The trail is free to do and provides a day full of exploring, with different places to keep attention spans entertained for as little or as long as you like. 10. 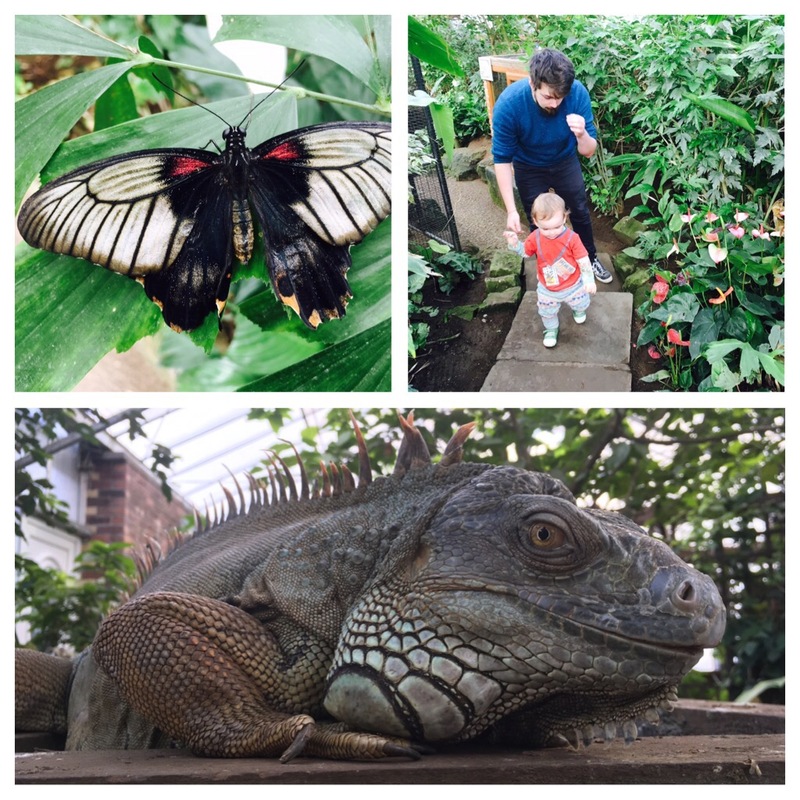 Tropical Butterfly House, Wildlife and Falconry centre is Sheffield’s best family attraction, open all year round is guaranteed to make a great day out. There are exotic animals, a large butterfly house, playgrounds, water splash zone, animal feeds and shows, a cafe, dinosaur trail and more. There are regular events throughout all seasons with Santa visits at Christmas and halloween trails in October, and half-term events and summer holiday activities. Find out how great Tropical Butterfly House is here with our short video and photos. 11. Feed the animals at Heeley city farm and have fun in Heeley people’s park. 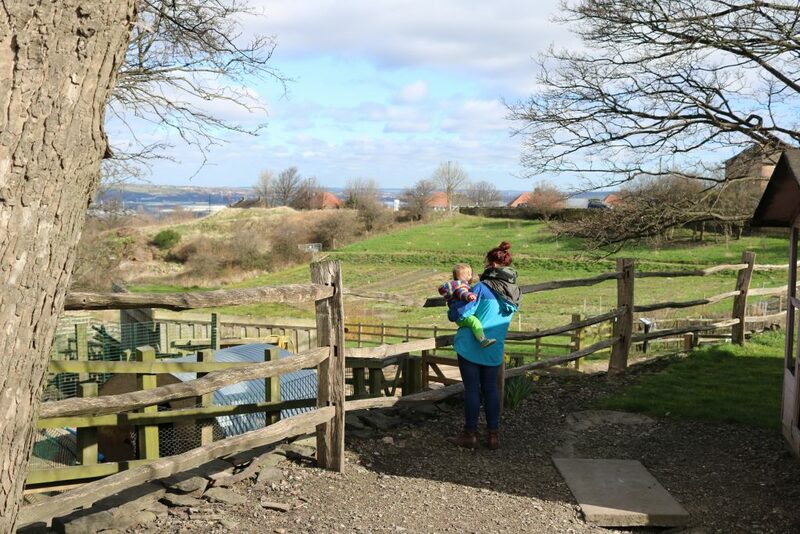 Heeley city farm is free to visit and has a cafe, playground and is the perfect size for toddlers. Read the blog on Heeley City Farm here. 12. Graves park farm is free to visit and has many friendly animals. Graves park is the largest park in sheffield with a good playground and sand pit area, cafe, ducks, woodlands and open green space. There are sports, too, with tennis courts, bowls and Pitch & Putt. Discover the BEST things to do in South Yorkshire with the winners of our 2017 awards! 13. Get hands on at Weston park museum. This museum is perfect for children with interactive, fun and entertaining galleries. There is dress up, building, books, and lots of things to see and touch. 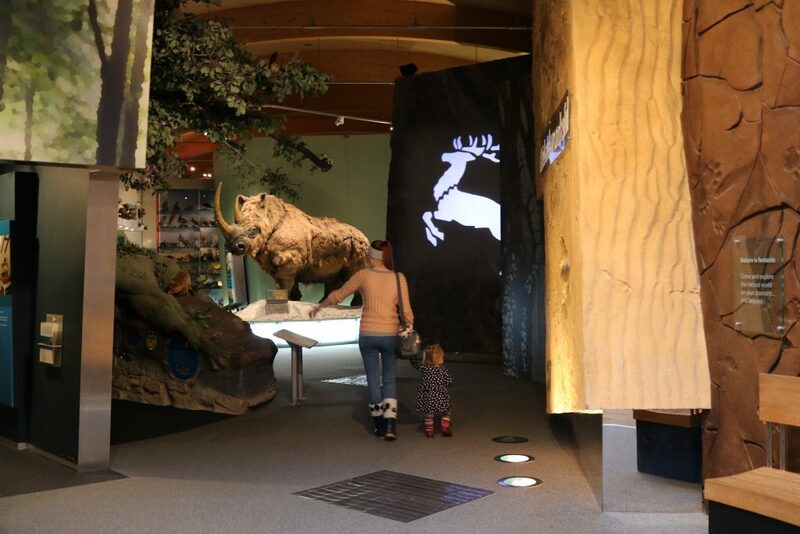 The museum is free to visit and there is a busy calendar of events, including the regular Friday Under 5’s sessions and Storytime on Friday afternoon. There is a gift shop, lockers, cafe and picnic area upstairs. The park is a good size for toddlers and isn’t too big; there are ducks down at the bottom which makes this an all rounder good day for families. 14. 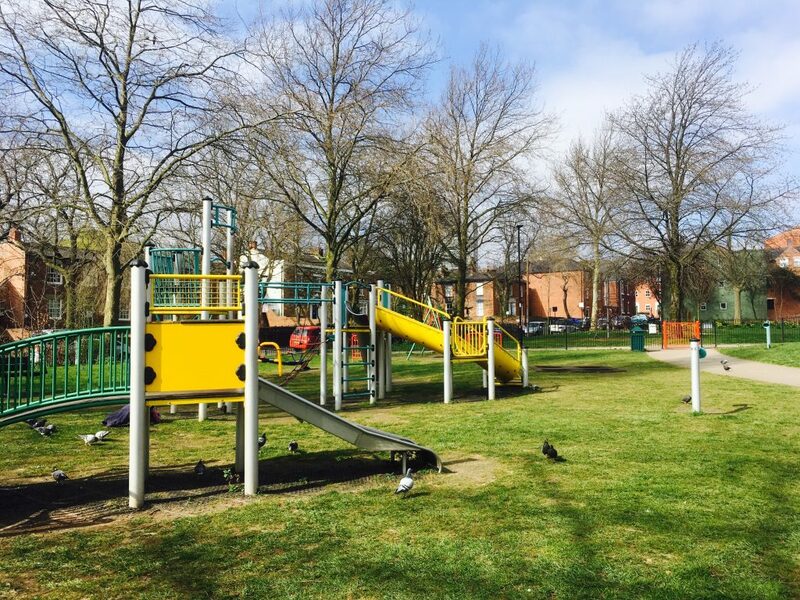 Get outdoors and go to one of many Sheffield’s park with playgrounds. Read my top 5 list here. 15. Play in the arcades in Centertainment at Hollywood Bowl, see an IMAX movie at Cineworld, have fun at the soft play centre Monkey Bizness, or have a cake at Starbucks. All of these are at Centertainment, which has lots to do for families and restaurants to eat at. 16. Norfolk Heritage Park sculpture trail takes place around the park and in the ancient Jarvis Lum woods. Trail sheets can be found in the Centre in the park and at reception. The park has a cafe and two playgrounds. Read my blog on Norfolk Heritage park here. 17. Rivelin Valley park has a paddling pool and water play area open in the summer. It is free to visit and kids love the park, which has a good playground and cafe. There is also a nature trail. 18. Hillsborough park and library has two fun things for kids to enjoy; the park with a good playground and ducks, and the children’s library which have colouring, reading corner with bean bags/pillows and toys, and free story time sessions on Tuesdays 2-3pm and Baby time on Wednesdays from 10am. 19. Although it’s technically Rotherham, I’m including Magna science adventure centre because to get there from sheffield on a bus is still within sheffield border! Indoor and outdoor fun, Magna is good all year round. There’s a huge adventure playground outside (Sci-Tek) and water play (Aqua-Tek) and 4 galleries inside. You can watch a video of the outside bits in this blog post here. 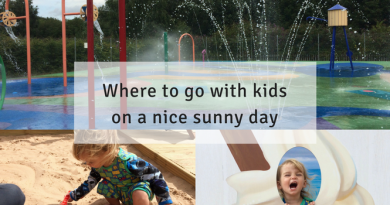 Looking for FREE places with water play? Read this top 13 places for water play and splash here. 20. Sheffield Manor Lodge is open on specific days for events and is free to visit, although the discover centre costs £3. There are old historic ruins, sand pit, maze and cafe. The farm has a few animals to see and lots of outdoor play toys. 21. There are a few options for going swimming in Sheffield with the biggest and well known place being Ponds Forge. There are £1 family swim sessions across sheffield and swimming classes, check here. 23. Endcliffe park fun fair has a bouncy castle and a few rides and is fun for kids, especially when you add it a stroll in the woods and the good playground, too! 24. Not far from Endcliffe Park is Shepherds wheel museum, free to enter and usually open on weekends (check their website). 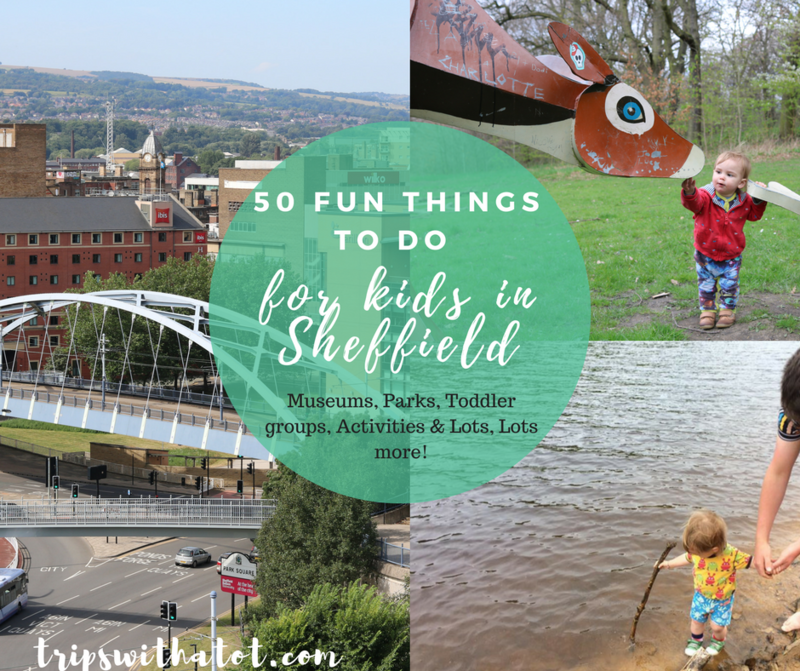 A really interesting way to learn about the history of sheffield’s machinery and toddlers will love seeing the waterwheel in action. 25. The National Emergency Services museum is just outside Sheffield city centre at West Bar. 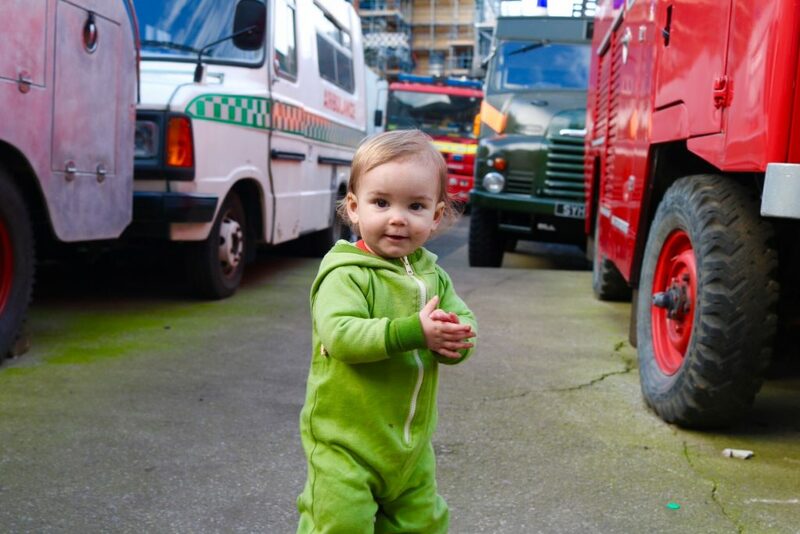 The museum is self-funded by the emergency services, and has loads to do for toddlers and adults. The museum is split over 3 floors and has an outside yard with real vehicles. The exhibition rooms are full to the brim and there is so much to see and learn. Read this blog to find out more about NES Museum and watch our short video! 26. See the canal boats at Victoria Quays and have a stroll down to Emmaus secondhand superstore, a huge charity shop with furniture, home wares, toys, books and bric-a-brac. There’s goats outside and a pets corner. To find it, read this blog here which has photos. 27. Rather Valley country park is close to the border of Sheffield. There are water sports, playgrounds, cafe, family activities and lots to see and do here. The park is free to visit, but there are charges for activities and sports. 28. Go to a pub with play area outside in the warmer months. See my Top 10 pubs with play areas list here. 29. There’s a whole day out to be had at Low Bradfield – a picturesque village in north Sheffield in the Peak District. The village has a family friendly pub which has bunnies outside, there is Damflask Reservoir where you can go for a paddle, picnic and rock throwing, playground, ducks and lots more. The village is quiet and the views are stunning. Read this blog to find out where it is and watch our short vlog. 30. Whirlow farm trust is a Sheffield charity and a working farm. The farm is open at select times to the public and welcomes educational visits. There are family events and fairs throughout the year so check their calendar to find out more. 31. Sit outside Sheffield Cathedral and have a picnic. The area is far back from the road with no passing cars, there are grassy areas and views of the super tram passing by! 32. Go to the new Light cinema down the Moor where from the cafe area “The Green Room” there are views right on to the many diggers, cranes and building works taking place for the new Sheffield plans of Charter Square until 2019. 33. Check out the little hidden park in town opposite John Lewis and next to the Town Hall which has a few sculptures, pretty flowers and picnic benches. 34. Try and do the Sheffield Round Walk! The walk is 14 miles in total so a little too much for children but can be split up into parts and makes a fun family challenge! For more family walks, read this blog for my top 6. 35. Sheffield General Cemetery just off Ecclesall Road is a nice alternative to a park if you want a quiet space to explore. The cemetery has so much history and there are some really fun activities, such as Moths for Breakfast, Bug Hunts and history tours which welcome children. 36. Play centre MegaKidz is a nice little play centre just outside of Sheffield city centre in S2. The play centre has dedicated baby and toddler areas, have a cafe serving food and drinks, and have Rhythm and Rhyme music time three days a week. 37. A journey to hidden places is a sculpture trail in Wincobank and Firth Park. Find out more about it here! 38. Runaround Play centre in Halfway is a big soft play centre with pre-school activities, Pajama Drama classes, cafe and free wifi. 39. Watch the skaters at Devonshire Green – a small park at the end of Devonshire Street in Sheffield city centre. Just 5 minutes walk away there is a playground too, read my blog post here to find it. 40. Have adventures in Ecclesall woods on Friday mornings with the woodland toddler group from 10am. 41. At Christmas take your kids to see the best streets for Christmas lights in Sheffield for a real winter wonderland experience. Try Abbeydale Park Rise in Totley which is well known for it’s lit up and over-the-top decorated houses and gardens. 42. Have a picnic at Sheffield’s Amphitheatre which is just behind the train station. There are great views over the city and tons of steps for toddlers who like to climb! 43. Enjoy summer in Sheffield at Sheffield by the Seaside in the Peace Gardens, a free event all summer which transforms Peace Gardens into a seaside experience. There are stalls, sand pits and family entertainment. 44. Get muddy and messy at the Woodland playgroup at Sheffield Woodland Kindergarten, Monday mornings, £4. 45. Go indoor rock climbing at Mini Climbing works and try the weekly Rock Tots classes. 46. Try a drama class with Pajama Drama with 4 dedicated classes suitable for ages babies to seven year sold. 47. Millhouses Park is fantastic in summer with the water play area, boating lake and cafe. The playgrounds are great for all ages, all year round but the water play is a lovely way to spend a hot day and is free to visit. 48. Abbeydale Industrial Hamlet is a 18th century industrial works museum. This industrial museum is interesting and fun for all ages with craft workshops, crucible furnace, history galleries and much more. Check their website for opening times and events. 49. Check where your local Children’s Centre is and attend a free playgroup. Many of them run fun activities and day trips for families so be sure to check their website, or ring up for more info. 50. Go wild in two adventure playgrounds in Sheffield without spending a penny; Highfield adventure playground and Pittsmore adventure playground. Phew! That’s a long list of things to do, I hope you enjoyed this and found it useful. 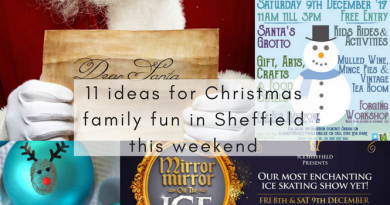 If you have any favourite things to do and Sheffield days out you would like to add, please comment down below! If you are looking for even more days out, check out these two posts: 100 days out without a car, and 57 free days out. You’ll definitely be spoilt for choice after those HUGE posts!